All the members of a healthy human family walk together: they carry each other's burdens (Gal 6:2) and help each other get to heaven. So it is in our Congregation. 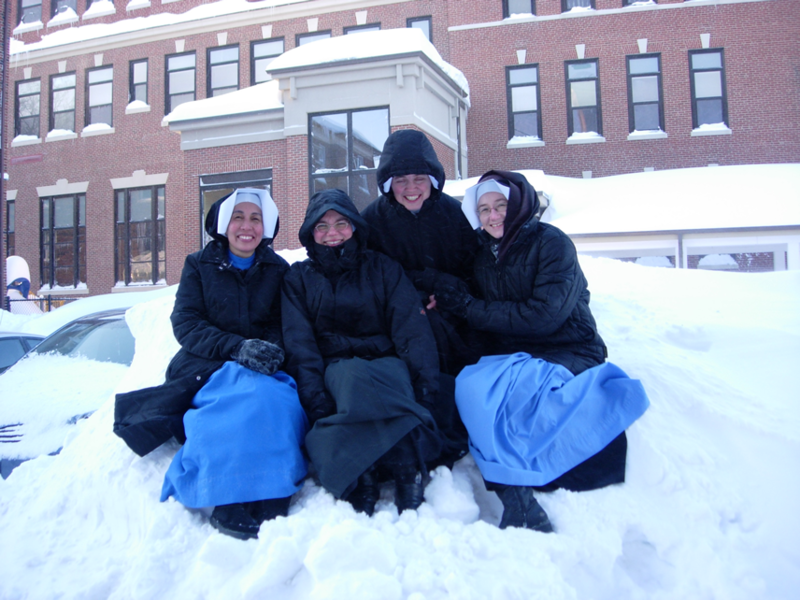 United in one charism through the Holy Spirit, the sisters form a spiritual family, helping each other get to heaven. And they help, not only each other, but also others. Through the complete dedication of their lives to Christ, they bear witness to unity and to the presence of God’s Kingdom among us and so help them to see and to strive for what is truly important – merciful love, forgiveness, patience, kindness, humility, generosity… and eventually: eternal life with God. Living together as one family, religious life provides many opportunities to grow and to show respect for others, to see Christ in them, to learn from each other and to love with a love that forgets self… in one word: to please God and to grow in holiness.